A few years after the break-up of much-loved Australian indie stalwarts The Lucksmiths, three quarters of the band quietly got together again as Last Leaves. With songwriter and guitarist Marty Donald assuming vocal duties alongside longtime collaborators Louis Richter (guitar) and Mark Monnone (bass), and joined by drummer extraordinaire Noah Symons (Great Earthquake), they began work on a body of songs that – a few years later again – finally finds release in their remarkable debut album ‘Other Towns Than Ours’. It’s been worth the wait. The ten songs here showcase a band already at the top of its game, from the perfect fuzz pop of first single ‘The World We Had’ and the irrepressible jangle of ‘Something Falls’ to darker moments like mesmeric closer ‘Where I Lived and What I Lived For’ and the downbeat Silver Jews swagger of ‘The Nights You Drove Me Home’ (“the past is just a single-star motel/It’s nowhere you should dwell/A room to rest awhile”). Sounding like a lost classic from the Summershine imprint, second single ‘The Hinterland’ recounts a country convalescence: “From an upstairs window at your parents’ place/You saw the sun set where the highway cuts across the hinterland/Tail-lights fading in the twilight/It was more than you could stand”. Meanwhile, the off kilter, psychedelic-tinged country-soul(!) of ‘Third Thoughts’ finds cause for a lover’s lament in the glimpse of a road afforded by a newly fallen tree, and ‘Other Rivers’ showcases some impressive guitar work that will surely please the most zealous Lucksmiths fan. 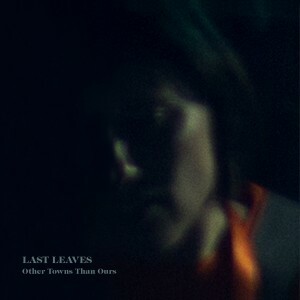 Musically, Last Leaves is an altogether different beast from their previous band, Symons’ ever-inventive drumming and Monnone’s sinuous basslines underpinning melancholic melodies, and Richter’s guitar veering from fragile to ferocious, often in the course of one song. The album was recorded by relocated UK producer Gareth Parton (Foals, The Go! Team) over the course of almost three years, between Melbourne’s inner-northern suburbs and the band’s base in the hills to the east of the city. Donald’s move there some years ago is reflected in the satellite towns, country roads and mountainside motels of ‘Other Towns Than Ours’; as ever, a profound sense of place remains central to his songwriting. Australian customers please note: this is a co-release with the Lost and Lonesome Recording Company. Please support your local label.